Genius BCAA is a BCAA manufactured by The Genius Brand. BCAAs are the building blocks of protein and can increase protein synthesis, muscle recovery and endurance during workouts and have also been shown to reduce body fat. There are a lot of nootropics or brain enhancers out there. But these supplements are made out of diverse sources. Some have been scientifically proven to be effective while some are not. Genius BCAA Powder is a product packed with energy for the brain and helps in maintaining lean muscle mass before, during, and after a workout. What is interesting with this product is that it is promoted as a pre-workout supplement instead of a nootropic. In this Genius BCAA review, we will delve in and see if this pre-workout and nootropic is indeed capable of supplying the optimum brain energy and workout support its manufacturer claim by analyzing its ingredients, side effects, and customer reviews. There are amino acids with a side chain (a branch) are known as branched‐chain amino acids (BCAA). The BCAA play an important part of the generation muscles and of the signaling chemicals in the brain. While most BCAAs are made from human hair and duck feathers, rest assured Genius isn’t one of them. The manufacturers promise that this type of BCAA is fermented and of the highest quality. Its BCAAs are in the form of InstAminos, a vegan form of amino acids. Genius BCAA Powder provides daily muscle support while boosting memory & concentration — a perfect combination for a healthy body and mind. Genius is about getting the most out of your body — a fully functional product that actually serves a purpose. Many coffee drinkers find Genius BCAA to be a suitable replacement for their morning hot drink. In addition to substituting with natural caffeine, Genius BCAA also provides a cognitive edge which makes mental tasks done with ease. GENIUS BURN is made with vegetable capsules and the finest ingredients nature has to offer. The remaining ingredients are the flavorings, which are natural ingredients. No sucralose or other chemicals. Just natural flavors, organic stevia leaf, malice acid, need root and monk fruit. There are no side effects reported after taking this product. BCAAs are considered to be safe as long as taken according to its recommended dose. The only area that may be a concern is if this is taken with a pre-workout supplement that already contains a high amount of caffeine. This may trigger some caffeine-related side effects like trembling, anxiousness, and palpitations. Both I and my husband use the Genius BCAA. My husband uses this as a pre-work/wake me up before he goes to the gym early in the mornings. He says that he really likes it and once he gets to the gym (10-minute drive) he feels awake and ready to work out. It doesn't give him the jitters or make him feel too pumped up. I myself use it mid-day when the kids have a lot going on and I'm feeling tired and need a pick me up. We got the orange power and it tastes pretty good. You have to make sure you mix it well or it will have a chalky taste to it. It’s not overly sweet or sour. It has a good taste to it. For me, it’s easy to make a quick drink when I am going out the door to the next activity and I feel much better by the time I get to the next place and not like I am dragging. It is way healthier for you and cheaper than grabbing an energy drink. I would recommend this to anyone needed some energy! The combination triggered the thought and my head and the trust in both formulas enabled me to pull the trigger. It’s been steady on both fronts but I’m definitely lean as can be while seeing more and more muscle growth. Lean muscle growth is the key here and I think I could recommend to pretty much anyone. With the BCAA, I’d say use about 20mg of water and it tastes pretty good. Less water makes it really concentrated and I really don’t like the flavor at a certain point but 20-25oz of water works. It says that on the directions but I think people naturally try less like me lol. Don’t make the same mistake! Pretty cool company and they even hooked me up with a tank. With tons of positive customer reviews, this pre-workout and nootropic looks to be capable of providing the benefits it claims. One good thing to note here is that most of the ingredients, especially the BCAAs used have been proven to be really effective in providing the necessary energy boost the mind and body would need after a long day or strenuous activity. Is it Worth it to Take Genius BCAA Powder? Genius BCAA does what it aims to do. It is a high quality, vegan-friendly, natural BCAA that can be used by anyone looking for a boost in the gym. This pre-workout and nootropic is definitely recommended to anyone looking to consume natural, safe and effective products. It is not the cheapest around, but the quality helps make up for that. Give it a try. You won’t be disappointed. 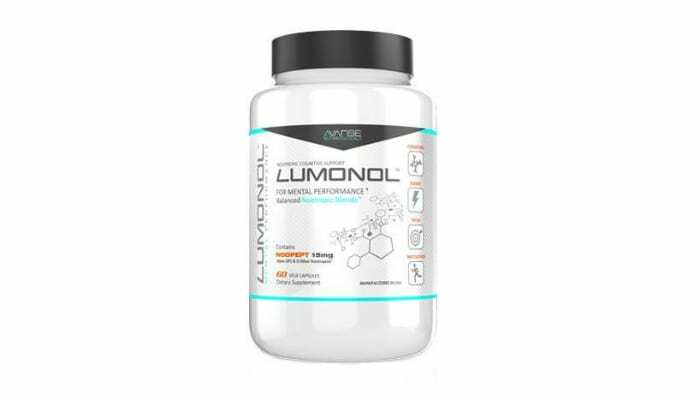 This nootropic and pre-workout supplement can be purchased in various online Distributors. Just make sure to only buy from legit and accredited suppliers. Glutamine: There are 3 grams of L Glutamine in Genius BCAA. This is added for the extra recovery and muscle support. It can aid with muscle exertion recovery, immune system support, as well as gastrointestinal health. It is a nice addition here. Taurine: There is 1 gram of taurine in Genius BCAA. This can help with nutrient regulation, balancing water and salt level, which are excreted during intense exercise. It has also been linked to mental focus, which can help with that mind muscle connection during your training. Citrulline malate: There is 1 gram of CM in Genius BCAA. CM has been shown to fight fatigue. It increases the amount of arginine in the blood, leading to an increase in Nitric oxide allows muscles to last longer in the gym, helping to squeeze out an extra rep or two. Companies seem to steering away from CM lately in favor or straight citrulline as you need more CM to get the same effects. Having only 1 gram here, its effectivity is questionable. Having said that, it is just considered an extra in a BCAA product. It is just for the purpose of complementing the pre-workout supplement you are taking. L Tyrosine: There is 1 gram of L tyrosine in Genius BCAA. Tyrosine is a precursor to neurotransmitters like norepinephrine. It has been shown to decrease stress levels and improve mental alertness and congnitive performance. Things that would help focus on muscle contractions in the gym. It has also been shown to increase or at least reactivate the effectiveness of certain fat burners like yohimbe and ephadrine. Citicholine (as Cognizin): There are 250 mg in Genius BCAA. Genius says this increases brain energy and attention all performance, while supporting memory and long term brain health. Rhodiola rosa (standardized at 3%): There are 200mg in Genius BCAA. They claim it will reduce stress and mental fatigue while promoting longevity. Natural caffeine (coffea arabica bean): There are 100 mg in Genius BCAA. This is a natural sustained release form of caffeine that Genius uses. It is only 100mg, which seems to be on par with other energy amino supplements that I have seen. It also seems to work in conjunction with their caffeine-free pre-workout “Genius Pre”. There are no side effects reported after taking this product. BCAAs are considered to be safe as long as taken according to its recommended dose. The only area that may be a concern is if this is taken with a pre-workout supplement that already contains a high amount of caffeine. Some pre-workouts now have upward of 400mg of caffeine. With the added 100mg from Genius BCAA, it may be too much for many people. Is Genius BCAA Powder supposed to help with Weight Loss? BCAA's effects, in general, have yet to show some validated proof for their effects regarding weight. But in regards to Genius BCAA powder’s specific formula, then the answer is YES! The natural caffeine is beneficial plus the rhodiola helps check cortisol as well as the impact fermented BCAA's have. Combine it with a fat burner ideally and you'll have a very good weight loss stack. Is Genius BCAA powder vegan-friendly or only vegetarian? I believe it's both. The BCAA's are vegan for sure & nothing is derived from Animal's so that would make it both vegan & vegetarian. What is the carb content? There are no carbohydrates present in this supplement. What are fermented BCAA's? And is Genius BCAA a probiotic? Fermented BCAA Powder is produced using a microbial fermentation process. Just like our standard BCAA, Fermented BCAA Powder consists of a 2:1:1 ratio of Leucine, Isoleucine and Valine. These essential amino acids cannot be synthesized by the body, therefore must be consumed from dietary sources. For the second question, it is not a probiotic but it is good to add a probiotic to BCAA. The recommended dose is one scoop per serving. If you are planning to combine Genius BCAA with other energy and workout supplement, make sure to check the combined caffeine content to avoid adverse effects like palpitations, hyperactivity, and mild anxiety. Thermo-Pre Review: Is this The Purest Pre-workout Supplement?